VR CON was created to celebrate the boldest and coolest in the exploding areas of Virtual Reality (VR), Augmented Reality (AR), Mediated Reality (MR), Artificial Intelligence (AI), and Wearable Computing. VR CON, which will travel to cities around North America and beyond, covers entertainment, gaming, education, travel, design and more. VR CON @ COMIC-CON is Comic-Con International’s officially-sanctioned event that showcases the latest from the leading equipment makers, film studios, television networks, game builders, publishers, brands, designers, influencers and innovators. The event will be held at the Hilton San Diego Gaslamp Quarter hotel, which directly faces the San Diego Convention Center, home of Comic-Con International. An early sneak preview of world renowned astrophysicist Neil deGrasse Tyson’s upcoming game Space Odyssey is expected to be a highlight attraction for attendees. The multiplatform game will allow players to travel through space, build their own spacecraft, and explore the cosmos. The game will include virtual reality missions, available on home and mobile devices – and eventually at museums, space centers, and classrooms. 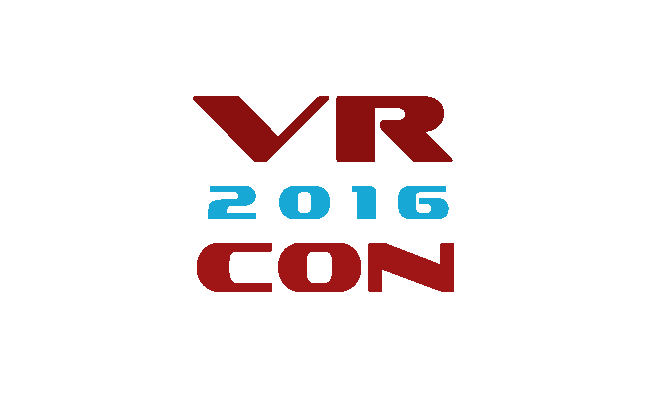 VR CON @ COMIC-CON attendees will have access to the latest developments in VR and AR and hear from experts and industry leaders. "VRstudios and its entertainment division, VRcade, are thrilled to participate in and showcase our fully immersive Time Zombies VR game at VR CON," said Mary Jesse, Chief Strategy Officer at VRstudios. "VR CON provides an excellent venue to showcase our unique wireless full-motion capabilities and reach entertainment customers and partners." VR CON @ COMIC CON will include a wide range of other attractions, special guests, expert panels and the latest in VR cameras, gear and creations on display from leading manufacturers and pacesetters. VR CON @ COMIC-CON will kick off on Wednesday (July 20) with a preview day, which includes a media reception in the space from 3-6 p.m. PST, allowing international media and blogging communities a first experience of this premiere event. A public preview follows from 6-9 p.m. on Wednesday. Regular days and hours are: Thursday & Friday (July 21-22) 9 a.m.-8 p.m.; Saturday (July 23) 9 a.m.-7 p.m. and Sunday (July 24) 9 a.m.-5 p.m.
Thursday – Saturday (July 21-23), VRLIVE, the first VR and 360-degree live-action network, will live stream host Mark Kassen’s interviews planned with Randal Kleiser, Director of Grease and Defrost; Guy Shelmerdine, Catatonic Director Tony Kaye, American History X Director; Andrew Shulkind, VR DOP for The Strain’s Comic-Con VR Experience with Headcase VR; and others leaders in the field. Thursday (July 21) panel: “Dent the Future VR” – 2-3pm in the San Diego Convention Center Expo Hall Room 23A-B. This panel expands on the Dent team’s “Building the Holodeck” VR/AR panel from last year, with an update titled “State of the Holodeck.” Panelists scheduled include: Tony Christopher (CEO and President, Landmark Entertainment Group), Mary Jesse (Chief Strategy Officer, ‎VRstudios), Julian Reyes (VR Producer, FUSION), Chanel Summers (Co-Founder, Syndicate 17), Michael Licht (Co-Founder and Creative Director, Emblematic Group), and Mark Murphy (Co-Founder and Creative Director, Neil deGrasse Tyson Presents Space Odyssey). Friday (July 22) panel: “Creating Your Own Universe” - 7:30-8:30 p.m. at the San Diego Convention Center, Expo Hall Room 5 A-B. Leading creative voices will discuss the development of a multi-platform universe that engages in the VR and AR spaces as well as the traditional animation and gaming markets. Moderated by Len Wien (co-creator of Wolverine, Nightcrawler, Colossus, Swamp Thing and Wolverine), the panel also includes Peter Beagle (creator, The Last Unicorn), Bob Rafei (CEO, Red Button Entertainment), Sinclair Fleming (Director or Engineering/VR, Radiant Images), Russell Naftal (Co-Managing Partner, VR Werx), and Mark Murphy. The event will be live streamed by VRLIVE in partnership with Radiant Images (airing via the Comic Con HQ Channel and YouTube360). Saturday (July 23) panel: “Creating Universes” - 11:30am-12:30pm at the Horton Grand Theater. Dr. Neil deGrasse Tyson hosts an A-List panel of creators, including Len Wein, and Bill Prady (co-creator, writer, executive producer, The Big Bang Theory) who will discuss how universes are formed with the imagination and with science. Renowned artist Rob Prior (Game of Thrones, Star Wars) will provide a live painting exhibition during the panel. VRLIVE will live stream the event. Columbia Memorial Space Center - This Los Angeles-area space learning complex will provide space artifacts to complement Space Odyssey. Mars 2030 / NASA - Backed with support from NASA, Fusion Media’s Mars 2030 is underscored by a singular mission: do everything possible to make the player feel like they’re actually on Mars. That includes starting with a massive, detailed recreation of an actual part of the planet’s surface. Paranormal Activity: The Lost Soul in VR - VRWERX previews its “scary as hell” VR attraction based on Paramount Pictures’ movie franchise. Time Zombies - VRstudios' gaming and entertainment division, VRcade, takes players through the dark and ominous streets and back alleys of an abandoned English town in 1910, where Zombies lurk in every corner and hiding place ready to attack. Tiltbrush - Tiltbrush is one of the truly cool experiences to emerge in the VR space. Some of the top creators in comics and animation will be playing with this unique tool and sharing their creations on site. 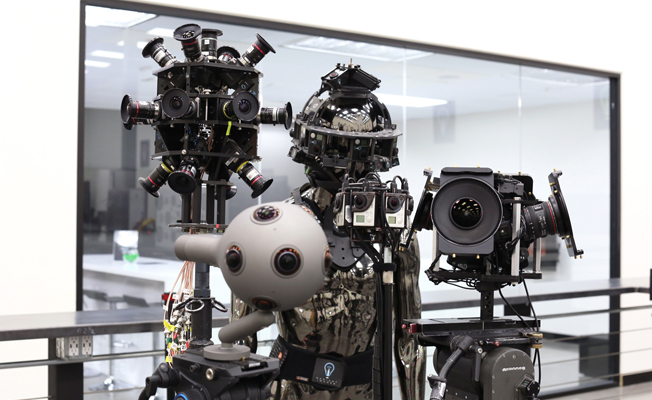 Radiant Images – showcasing the latest and greatest in VR and AR technologies and equipment. Pure McCartney - Rock out at a concert by the incomparable Sir Paul McCartney, presented by Jaunt. Circle of Life 360 Experience / The Lion King on Broadway - Get enveloped in the world of one of Disney’s epics, by “being” on stage of the hit Broadway musical. Defrost - VR series written and directed by Randal Kleiser and featuring Carl Weathers, Bruce Davison and Harry Hamlin. It was shown at the Sundance Film Festival and the Cannes Film Festival in 2016. New York Times and other VR stories - Experience war in Syria and life in other places in the world through VR stories filmed by Emblematic Group, whose founder Nonny de la Peña has been named the “Godmother of virtual reality” by the Guardian. 360 Portal - A unique, immersive, mind-blowing experience utilizing a globe. Visions of China - A fully immersive tour of some of the most beautiful and exotic landscapes and venues of this enchanting nation. Heavy Metal - The iconic sci-fi/fantasy anthology magazine is expanding across multiple media platforms including immersive entertainment, and will spotlight their upcoming projects including VR/360. Phoenix Rising / Captain Power reboot - The 1980s sci-fi TV series Captain Power and the Soldiers of the Future is coming back from the past, with the space drama now titled Phoenix Rising. Pokemon Go – VR CON is an official Poke Stop, and will be dropping Poke lures throughout the show. Comic-Con HQ Channel - A live-stream from VR CON will be filmed and appear on this new digital channel from Comic-Con International and Lionsgate Studios. VR CON @ COMIC-CON’s participating exhibitors include: VRWerx, VRstudios / VRcade (gaming and entertainment division), Fusion Media, Red Button Entertainment, Emblematic Group, Radiant Images, Jaunt, Fifth Dimension, Heavy Metal and Dent the Future. 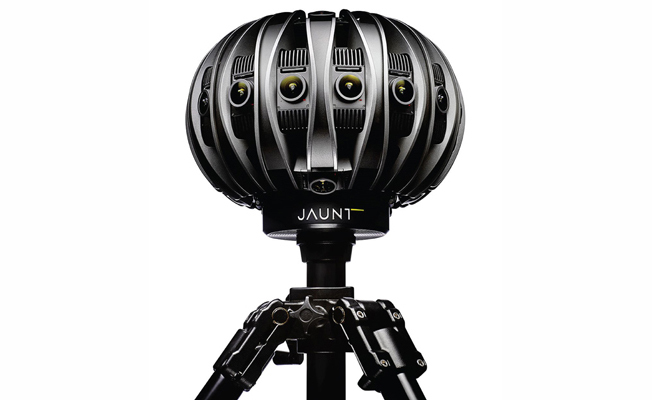 Leading edge companies providing equipment and/or support include: Samsung Gear VR powered by Oculus, HTC Vive, Google, Nokia, Sony, Radiant Images / Mobius, Jaunt and Headcase VR. Dr. Neil deGrasse Tyson, astrophysicist, cosmologist, author, communicator, television host and celebrity. Rob Prior, the official artist for Game of Thrones and Star Wars will commemorate the event with a live paint exhibition and print. Randal Kleiser, an internationally known film director since his first feature, Grease, he is now developing VR series. Len Wein, co-creator of such remarkable characters as Wolverine, Nightcrawler, Colossus, Swamp Thing and many of the modern X-Men. James Lopez, lead animator on Lion King, The Princess & the Frog, The Emperor’s New Groove and Hercules, he is producing a series of short films, Hullabaloo, featuring a steampunk heroine. Isaac Wright, actor who plays Bran Stark on Game of Thrones; a self-professed geek, he studies particle physics and seeks to attain a PhD.